The MICHELIN Guide Taipei 2019 has just been launched and logy is one of the four new entrants into the one-Michelin-star category. logy is the sister restaurant of two-Michelin-starred Florilège in Tokyo, helmed by chef Hiroyasu Kawate. Kawate had previously been to Taipei for four-hands collaborations with restaurants like two-Michelin-starred RAW and one-Michelin-starred MUME and found himself intrigued by Taiwanese cuisine and culture. 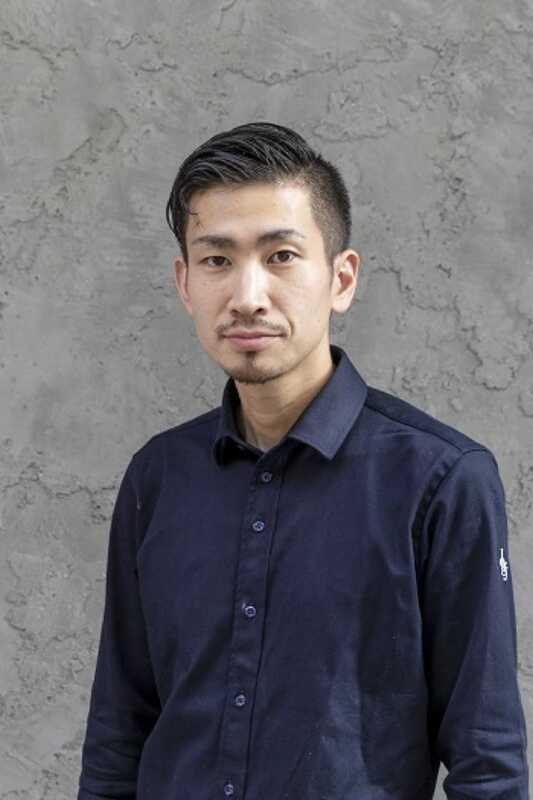 He decided to open a restaurant in Taipei and began scouting for suitable locations with the intention of sending his sous chef Ryogo Tahara to head up the new restaurant. The restaurant’s unusual name came to Kawate in a moment’s inspiration: “-logy” is a suffix for fields of study like geology and biology, and carries the notion of study and theory. When research and development for the new dishes came to an end, Kawate felt that his sous chef’s experience and craftsmanship had created a distinct cuisine that was a profound study of Asia. Moreover, the restaurant’s name sounded like the Japanese word for alley (roji) and reflected its charming location. Tahara had his first brush with the Michelin stars while he was sous chef at Florilège. “Of course I was very happy then, but credit for the success of Florilège really belongs to chef Kawate. I was greatly inspired then and I wondered if we would be able to achieve a star if it were me leading a restaurant.” Now his dreams have come true, and the first thing he did was to share the good news with Kawate. 36-year-old Tahara is from Hokkaido and began his career in an Italian restaurant in Sapporo. Falling in love with Italian cuisine, he moved to Italy in 2010 to train in restaurants like one-Michelin-starred La Ciau del Tornavento and two-Michelin-starred Torre del Saracino. In 2015, he returned to Japan and became Kawate’s right-hand man at Florilège. Though Tahara has downplayed his motivation for pursuing a culinary career in the past (“Because pasta is delicious,” he said), he is meticulous and holds himself to very high standards in the kitchen. In the three years he was at Florilège, he was always the first to arrive for work and the last to leave. In many ways, the interior of logy is a copy of Florilège: the L-shaped bar that seats 13, the open kitchen that is slightly lower than the bar counter, all to ensure that the chefs are able to personally interact with as many guests as possible. After the morning announcement of the MICHELIN Guide Taipei 2019, Tahara gave the gala dinner a miss, choosing instead to return to the restaurant to host his guests personally. Florilège is Japanese cuisine prepared by Japanese people using French techniques; logy takes a bold step further and incorporates the diverse cuisines of Asia with no limitations. Trained in Western cuisine and having travelled through Thailand and South Korea, when Tahara was sent to helm logy in Taiwan, it opened a whole new world for him that was fresh, exciting and worth exploring. 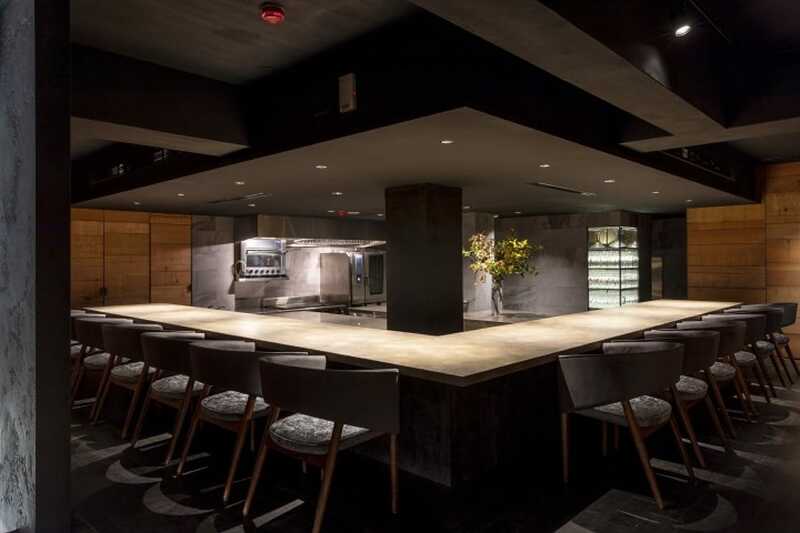 The 10-course tasting menu at logy changes every two months. Now in its third iteration, there are two dishes that have remained on the menu since the beginning. 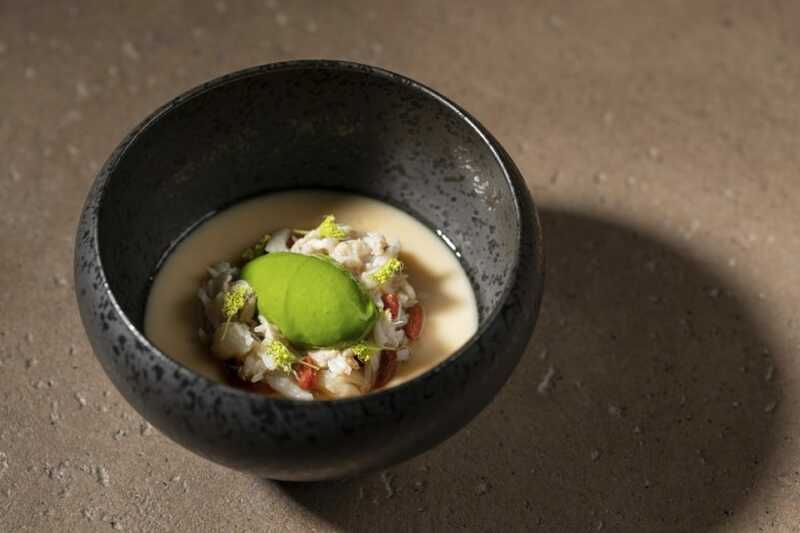 The first is a chawanmushi that has been described to be quite unlike the traditional Japanese dish — the base of the dish is warm steamed egg, accompanied with a dollop of Angelica ice cream and finished with beef broth. The juxtaposition of temperatures, textures and flavours make for a memorable dish that has won the hearts of Taiwanese diners. To Tahara, the dish represents his first impression of Taiwan: its streets a riot of colours, advertisement boards and iron-clad windows. But once he began to understand the culture and speak with the locals, he started to feel the vigorous life-force of the city. A meal at logy ends with its signature dessert. When Kawate and Tahara were sourcing ingredients in Nantou, they came across a drink made from the juice of fresh cocoa pulp and were pleasantly surprised by its flavour. The final petit four at logy is made from fresh aiyu jelly, coconut, and the sweet and tart cocoa juice, and captures the flavours of Asia in one bite. Tahara’s exploration of Taiwan is still in the infancy stage and there’s much to anticipate from this chef in the future. He shares what it was like for him when logy received its first Michelin star this year. I was 27 years old and working in Italy when I first heard about the MICHELIN Guide from my colleagues. Actually, I had been feeling a little anxious in the lead up, so when we got the star, it felt like a big rock had been lifted off my heart. After all, one of the goals I had set for myself when I was sent to Taiwan was to achieve a Michelin star. I think we’ll have a dinner celebration with all 13 of the restaurant staff. At logy, we have something we want to share with the world, not just the Taiwanese market, but we are just a small restaurant. The Michelin recognition will give us more visibility so that we can have better opportunities to share our cuisine with more people. Chefs who run Michelin-starred restaurants know what they are doing. If you have dreams of getting a star, then you have to set goals for yourself and work hard from the very beginning. This story is written by Sabine Chen and translated by Rachel Tan. Click here to read the original article.